This profile has been updated. Find the new profile here. This is an update of our profile from April 2011. The original profile is still available. Evermore Global Value Fund seeks capital appreciation by investing in a global portfolio of 30-40 securities. Their focus is on micro to mid-cap. They’re willing “to dabble” in larger cap names, but it’s not their core. Similarly they may invest beyond the equity market in “less liquid” investments such as distressed debt. They’ve frequently held short positions to hedge market risk and are willing to hold a lot of cash. Evermore Global Advisors, LLC. Evermore was founded by Mutual Series alumni David Marcus and Eric LeGoff in June 2009. David Marcus manages the portfolios. While they manage several products, including their US mutual fund, all of them follow the same “special situations” strategy. They have about $400 million in AUM. $2 – 3 billion, which is large for a fund with a strong focus on small firms. Mr. Marcus explains that he’s previously managed far larger sums in this style, that he’s willing to take “controlling” positions in small firms which raises the size of his potential position in his smallest holdings and raises the manageable cap. He currently manages about $400 million, including some separate accounts which rely on the same discipline. He’ll close if he’s ever forced into style drift. 100. “Active share” measures the degree to which a fund’s portfolio differs from the holdings of its benchmark portfolio. High active share indicates management which is providing a portfolio that is substantially different from, and independent of, the index. An active share of zero indicates perfect overlap with the index, 100 indicates perfect independence. The active share for Evermore is 100.6, which reflects extreme independence plus the effect of several hedged positions. Substantial. The fund provides all of Mr. Marcus’s equity exposure except for long-held legacy positions that predate the launch of Evermore. He’s slowly “migrating assets” from those positions to greater investments in the fund and anticipates that his holdings will grow substantially. His family, business partner and all of his employees are invested. In addition, he co-owns the firm to which he and his partner have committed millions of their personal wealth. It’s striking that one of his two outside board members, the guy who helped build the Oppenheimer Funds group, has invested more than a million in the fund (despite receiving just a few thousand dollars a year for his work with the fund). That’s incredibly rare. $5000, reduced to $2000 for tax-advantaged accounts. The institutional share class (EVGIX) has a $1 million minimum, no load and a 1.37% expense ratio. 1.62%, on assets of $235 million. There’s a 5% sales load which, because of agreements with advisers and financial intermediaries, is almost never paid. Kermit the Frog famously crooned (or croaked) the song “It’s Not Easy Being Green” (“it seems you blend in with so many other ordinary things, And people tend to pass you over”). I suspect that if Mr. Marcus were the lyricist, the song would have been “It’s Not Easy Being Independent.” By any measure, Evermore Global is one of the most independent funds around. Everyone else wants to be Warren Buffett. They’re all about buying “a wonderful company at a fair price.” Mr. Marcus is not looking for “great companies selling at a modest price.” There are, he notes, a million guys already out there chasing those companies. That sort of growth-at-a-reasonable price focus isn’t in his genes and isn’t where he can distinguish himself. He does, faithfully and well, what Michael Price taught him to do: find and exploit special situations, often in uncovered or under-covered smaller stocks. That predisposition is reflected in his fund’s active share: 100.6 on a scale that normally tops-out at 100. An active share of 100 means that it has essentially no overlap with its benchmark. The same applies to its peer group: Evermore has seven-times the exposure to small- and micro-cap stocks as does its peers. It has half of the US exposure and twice the European exposure of the average global fund. And it has zero exposure to three defensive sectors (consumer defensive, healthcare, utilities) that make up a quarter of the average global fund. Cheap with a catalyst: he describes this as a private-equity mentality where “cheap” is attractive only if there’s good reason to believe it’s not going to remain cheap. The goal is to find businesses that merely have to stop being awful in order to recruit a profit to their investors, rather than requiring earnings growth to do so. This helps explain why the fund is lightly invested in both Japan (cheap, few catalysts) and the U.S. (lot of catalysts, broadly overpriced). Compounders: a term that means different things to different investors. Here he means family owned or controlled firms that have activist internal management. Some of these folks are “ruthless value creators.” The key is to get to know personally the patriarch or matriarch who’s behind it all; establish whether they’re “on the same side” as their investors, have a record of value creation and are good people. There are two real downsides to being independent: you’re sometimes disastrously out-of-step with the herd and it’s devilishly hard to find an appropriate benchmark for the fund’s risk-return profile. Special situations stocks are, almost by definition, poorly understood, feared or loathed. These are often battered or untested companies with little or no analyst coverage. When markets correct, these stocks often fall fastest and furthest. Special situations portfolios take time to mature. By definition, these are firms with unusual challenges. Mr. Marcus invests when there’s evidence that the firm is able to overcome their challenges and is moving to do so (i.e., there’s a catalyst), but that process might take years to unfold. In consequence, it takes time for the underlying value to be unlocked. He argues that the stocks he purchased in 2010-11 were beginning to pay off in 2012 and, especially, 2013. In baseball terms, he believes he now has a solid line-up of mid- to late-inning names. The upside of special situations investing is two-fold. First, mispricing in their securities can be severe. There are few corners of the market further from efficient pricing than this. These stocks can’t be found or analyzed using standard quantitative measures and there are fewer and fewer seasoned analysts out there capable of understanding them. Second, a lot of the stocks’ returns are independent of the market. That is, these firms don’t need to grow revenue in order to see sharp share-price gains. If you have a firm that’s struggling because its CEO is a dolt and its board is in revolt, you’re likely to see the firm’s stock rebound once the dolt is removed. If you have a firm that used to be a solidly profitable division of a conglomerate but has been spun-off, you should expect an abnormally low stock price relatively to its value until it has a documented operating history. Investors like Mr. Marcus buy them cheap and early, then wait for what are essentially arbitrage gains. There’s no question that Evermore Global Value is a hard fund to love. It sports a one-star Morningstar rating and bottom-tier three year returns. The question is, does that say more about the fund or more about our ability to understand really independent, distinctive funds? The discipline that Max Heine taught to Michael Price, that Michael Price (who consulted on the launch of this fund) taught to David Marcus, and that David Marcus is teaching to his analysts, is highly-specialized, rarely practiced and – over long cycles – very profitable. Mr. Marcus, who has been described as the best and brightest of Price’s protégés, has attracted serious money from professional investors. That suggests that looking beyond the stars might well be in order here. Evermore Global Value Fund. In general, when a fund is presented as one manifestation of a strategy, it’s informative to wander around the site to learn what you can. With Evermore, there’s a nice discussion under “Active Value” of Mr. Marcus’s experience as an operating officer and its relevance for his work as an investor. 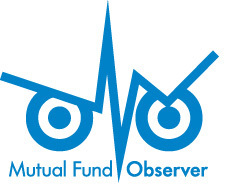 © Mutual Fund Observer, 2014. All rights reserved. The information here reflects publicly available information current at the time of publication. For reprint/e-rights contact us. This entry was posted in Old Profile on March 31, 2014 by David Snowball.